All-in-One Waterproof electrodes feature a built-in temperature sensor for taking readings with Automatic Temperature Compensation (ATC). Choose a single junction electrode for field, clean water, and general purpose applications. Choose a double junction electrode for most applications, including dirty water, heavy metals and organics applications. Each electrode is 12 mm dia with a 3 ft cable. Send data to your printer or PC! Inlcudes free software to create data files for importing into PC spreadsheet programs! The microprocessor-based pH 5+ meter is OAKTON s most economical portable pH meter, yet it gives you the same high accuracy and reliability of our other portable meters! Use this meter to take routine pH and temperature measurements. Meter includes a protective rubber boot that also acts as a meter stand. 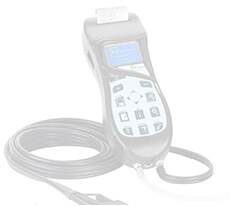 Calibrate meter with up to six points from USA, NIST, and DIN pH buffer sets. Automatic temperature compensation (ATC) ensures measurement accuracy even in fluctuating temperatures. Select temperature readout from C/F to suit your application. 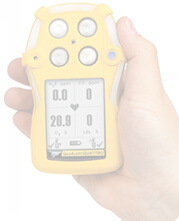 Meter features include ready (stability) indicator, smart averaging, hold function, calibration alarm (visible), battery life indicator, and electrode status. Data storage allows manual storage and recall of 150 data sets, as well as the log of the last calibration data. Each All-in-One Acorn electrode features a built-in temperature sensor for taking readings with Automatic Temperature Compensation (ATC). Choose a single junction electrode for field, clean water, and general purpose applications. Choose a double junction electrode for most applications, including dirty water, heavy metals and organics applications. 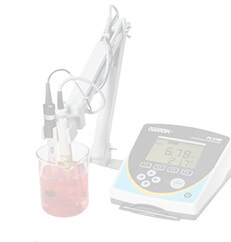 Two most common electrochemistry measurements in one convenient meter! User-settable calibration due alarm Out-of-date or unperformed calibrations are now things of the past! These top-of the-line waterproof meters offer features that are typically found on much more expensive models. The IP67-rated housing allows use in dirty and wet environments without harm to the meter. Datalog up to 500 points either automatically, manually, or at timed intervals. User-selectable calibration due alarms, automatic or manual standards recognition, and single or multiple calibration points provide flexibility in meeting your data quality objectives. Infrared (IrDA) wireless technology lets you easily download data no need for additional cords. The large backlit LCD shows the measured value, measured units, temperature, time, battery life, and menu options. As always, our waterproof meters are IP67-rated for both dust and water intrusion. Even with no probes attached! 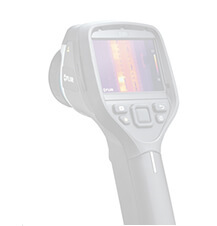 Expanded range, resolution, and accuracy, plus increased memory and advanced communications! 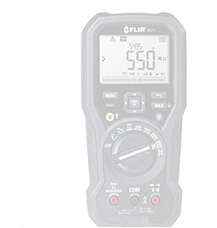 Meter features include ready (stability) indicator, smart averaging, user-selectable C/F units, hold function, calibration alarm, battery life-indicator, and electrode status. Perform data logging with manual or timed collection of up to 500 data sets with real-time clock time/date stamp. Order optional data cable for USB and RS-232 connectivity. 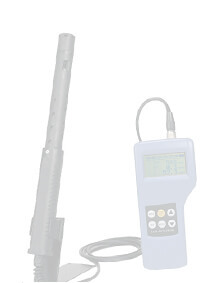 Choose combination pH/CON probe or separate probe options.